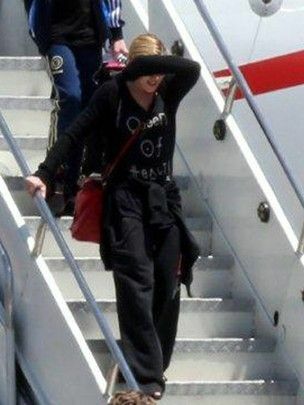 Madonna landed this morning in Brazil at the Galeão International Airport in Rio De Janeiro around 11h30. She was spotted with her boyfriend Brahim Zaibat and her children. They then left for the Fasano hotel where they will be staying during their MDNA Tour stop in Brazil.